Marie-Claude Hamelin and Émilie Chartrand, Econoler evaluation experts, are in Halifax, Nova Scotia this week as part of the provincial energy efficiency program evaluation project. For the seventh successive year, Econoler is evaluating Efficiency Nova Scotia (ENS) EE programs, a franchise owned by EfficiencyOne, an independent not-for-profit organization. The ENS mandate is to enable Nova Scotians to consume energy more efficiently by developing and managing energy efficiency (EE) and energy conservation programs for various customer segments. Always with the aim of developing new ways of innovating, Econoler meets with ENS every year and pays attention to their feedback in order to put forward new avenues for improvement. 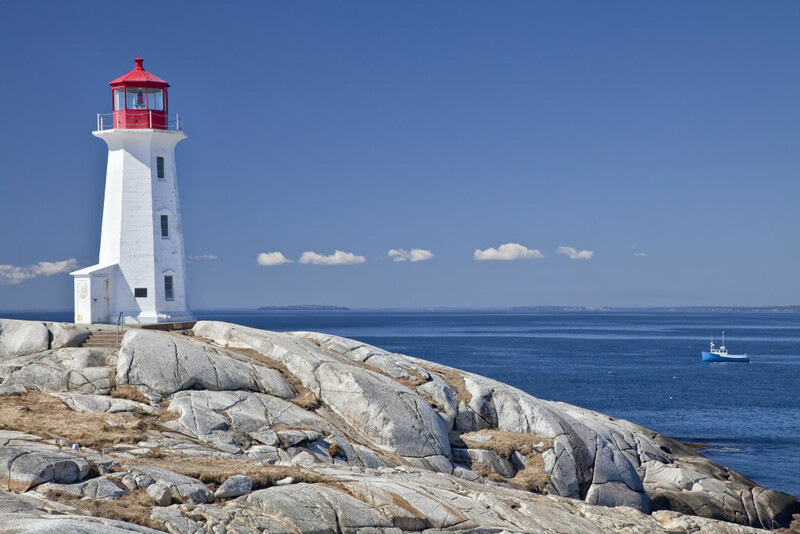 Peggy’s Cove lighthouse, Nova Scotia, Canada. Lobster boat gathering traps in the background.